No project too big - no projects too small. We offer total solutions for energy-saving buildings. Designs focused on green and energy-saving methods, because your wish is our design. Rentable spaces for clients who want to make a profit with design and energy-saving methods. Transforming existing buildings that need to save energy and show a new face ready for the future. We designed this extraordinary villa on Alto Vista hill. The luxurious home has special designs for the pool, bar, and interior. This contemporary mansion is a state-of-the-art example of a green design home on Aruba. 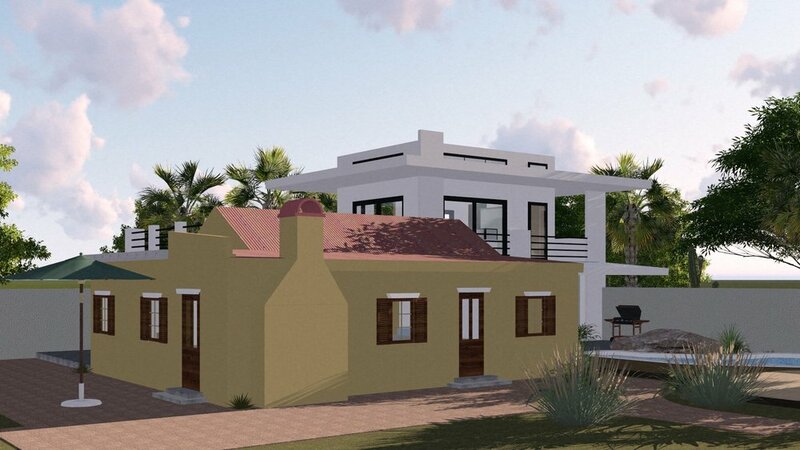 We are very proud to be able to say that we are currently building the first SIPS home on Aruba. 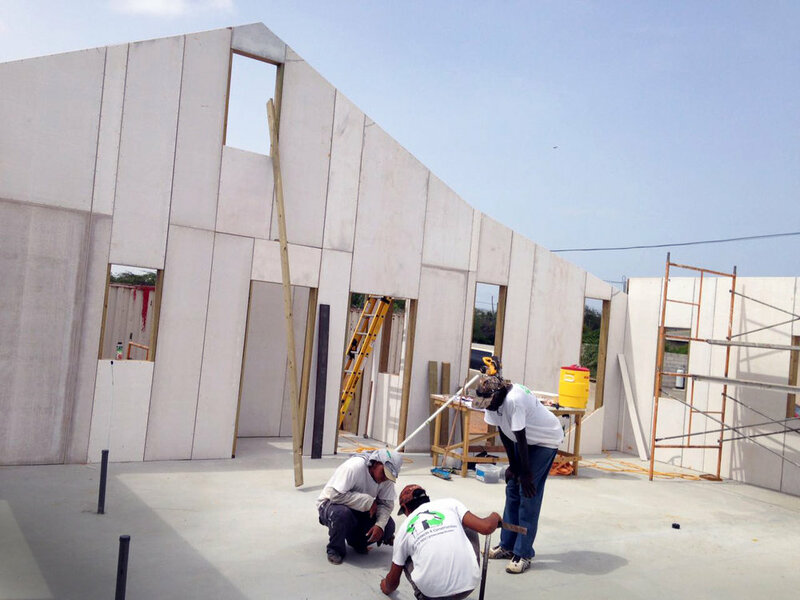 SIPS is a revolutionary and sustainable modular building system, which is perfect for the Caribbean environment. Making the house out of SIPS panels will save the proud client much money. Read more by clicking the button. We designed this contemporary extention to a traditional Caribbean cunucu using durable strong SIPS panels. The architectural contrast between modern and traditional is unique in Aruba.